In a recent New York Post Opinion article, Betsy McCaughey came out guns blazing condemning the federal guidelines limiting access to opioids. Her sentiment is shared by many of those who have been directly affected by these regulations: individuals living with chronic pain. There are many patients who have used opioids for years (sometimes even decades) without life damaging consequences. Many chronic pain patients now feel as if they are being unfairly targeted in the wake of the opioid epidemic, and finally a writer is speaking to their frustration! Unfortunately, in Betsy’s passion she generalized the events leading up to opioid regulations. She simply states that pain was undertreated, so we treated it with opioids and all was well. But now that people are overdosing from fentanyl and heroin, pain patients are getting their medications taken away and suffering as a result. Some elements of this are true, but there is a deeper story of deception and profiteering that enabled the liberalization of opioids in the first place. This article will break down how we found ourselves in the midst of one of the worst national health epidemics in the history of the U.S., and where we are headed in the future of pain management. Before the 1990’s, pain was frequently undertreated and patients suffered horribly. Since then, doctors have been trained to routinely ask patients about their pain and treat it. Now, politicians are undoing that progress. Depending on how far back you want to go, opioids have been used medicinally and recreationally for thousands of years. 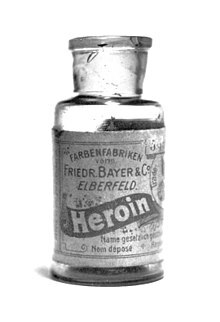 Opioids became a staple in pain management in 1895 when Bayer Pharmaceutical began marketing diamorphine (heroin) as an over-the-counter substitute for morphine. In 1928, researchers established the Committee on the Problems of Drug Dependence with the goal of finding the Holy Grail of pain management: a nonaddictive painkiller. Unfortunately, they were unable to find an alternative medication capable of providing opioid-like pain relief without problematic properties. However in the years to follow, opioids started being used more frequently during hospital stays to manage acute and post-surgical pain. Fast forward to 1980 when the New England Journal of Medicine published a Letter to the Editor, authored by Jane Porter and Hershel Jick, MD. The letter stated that out of 11,882 patients that received narcotics for pain, only four patients became addicted. Click here to read the Porter and Jick letter. What wasn’t mentioned in the (five sentence) letter was that the patients included in the study received small doses of opioids for acute pain in a controlled setting. The letter was later referenced by the pharmaceutical industry as they began a marketing campaign targeting physicians to promote the painkiller MS Contin for cancer patients. Jumping forward to the early 1990s, addressing patient’s pain became a priority. In 1996 the President of the American Pain Society lobbied physicians to treat pain as the fifth vital sign. Coincidentally, that very same year Purdue Pharma releases OxyContin – a time released opioid marketed primarily to chronic pain patients. From this short history, we see that opioid medication was initially intended to be used in hospitals to treat acute pain, post-surgical pain, and for cancer patients to improve their quality of life/end of life care. However, Purdue Pharma was able to capitalize on the pain-phobic climate within the medical community, and saw an opportunity to market their product to the masses. We have allowed the pharmaceutical industry to influence societal standards on how pain should be managed. Opioids have their place in medicine but were never intended for long term use. This pseudo educational campaign was a success, and doctors began prescribing opioids for all types of pain. Patients could go to their doctor complaining about stiffness or muscle pain from an overly active weekend and walk out with a prescription for a month’s worth of opioids. This in turn had a ripple effect that culminated in a series of societal problems we refer to as the opioid epidemic. The increased availability of opioid prescriptions helped normalize society’s dependence on pharmaceuticals as an exclusive means for managing pain. It narrowed the scope of treatment options for chronic pain conditions that could be managed with non-pharmacological options, lifestyle adaptations, and holistic alternatives. Some doctors were incentivized to withhold information about additional treatment options. Others simply refrained from suggesting these alternatives because insurance reimbursement rates were insufficient or nonexistent. It’s unfortunate because research is demonstrating there are a wide variety of treatment modalities that can help people manage pain without opioids and the problematic side effects. Click here to learn more about Holistic and Nonpharmacological Ways to Alleviate Chronic Pain. This is another statement that isn’t true or false, it’s merely uninformed and perpetuates feelings of hostility without getting to the source of the issue. As a “false narrative” it leads people to believe that only individuals who are abusing opiates are addicts. In reality, a high percentage of people exhibiting addictive behaviors are often patients suffering with mismanaged chronic pain conditions. This is what is referred to as pseudo-addiction. When it comes to managing chronic pain with opioids, they are only effective for so long before reaching a therapeutic ceiling. Opioid medications can be increasingly problematic over time and result in additional health problems or death. Furthermore, long term use of them for pain management can result in lower pain tolerance, enhanced pain signals, and distorted perception of pain. This is referred to as opioid-induced hyperalgesia. It is also not uncommon for chronic pain patients to develop co-occurring mental health disorders such as anxiety, depression, sleep disorders, and restlessness. Related Article: Learn more about the risks associated with opioid medication here. The body adapts to the presence of the chemical and becomes less responsive to its effects of pain relief. The only way to increase the efficacy of the opioid treatment is to increase the dosage, or to add a supplemental prescription. This only furthered patient’s physical and psychological dependence on the medications. Doctors had very few restrictions in terms of prescribing practices until 2012, at which point more and more people started overdosing from opioids. Over the past few years, we have seen a tragic rise in synthetic opioid related deaths, primarily fentanyl laced heroin. Many of those battling a heroin addiction turned to the drug because the FDA enacted swift regulatory actions on pain management clinics, and they lost access to prescribed opioids. The FDA was forced to step in and began auditing pain clinics that were operating as illegal pill mills. Unfortunately, in this process many legitimate pain patients lost access to their only means of pain management. Some were able to white knuckle through painful withdrawal symptoms, while others found ways to keep the withdrawals at bay by acquiring opioid medication from friends, family, or the streets. But the street value of a single Oxycodone 40mg pill can fetch upwards of $40, forcing many to consider making the switch to the cheapest chemical substitute: heroin. Politicians are now scrambling to find a solution to a national health epidemic that in 2016, killed more Americans than in the Vietnam War (63,600 via opioid overdose vs. 58,000 soldiers in Vietnam). The stated objective of the HHS Task Force is to find solutions to manage the opioid epidemic and is eerily similar to our mission and efforts over the last three years. “Our Treatment Program has been and continues to be at the intersection of “Chronic Pain, Psychological Disorders and Addictive Behaviors, and it’s gratifying to see the Government, as well as top healthcare professionals, finally joining us in our mission,” states A Healing Place – The Estates CEO, John C. Stenzel. Our Chief Clinical Officer, Dr. Stephen Grinstead, developed the Addiction Free Pain Management® System (APM) in his own quest to find sustainable solutions for how to manage chronic pain and addictive disorders. APM serves as the foundation for our treatment curriculum, addressing suffering in four key quadrants: biological, psychological, social and spiritual. Throughout our program, patients are not only educated about their pain and medications, but are also exposed to a wide variety of holistic and non-pharmacological modalities to appropriately prevent and respond to pain flair-ups. We practice a multidisciplinary approach that helps patients shift away from passive pain management techniques (pills, shots, and procedures), while demonstrating the value of proactive approaches to pain management. The Department of Health and Human Services is moving forward in their campaign to reassess best practices of pain management. The Task Force wants to hear from those suffering with pain, to gain insight on what (non-opioid) treatment interventions are the most effective. They also want to hear from those individuals who’s pain management treatment was affected by government policies such as “CDC guidelines, the FDA opioid policy, CMS coverage of nonpharmacological treatments”. Your voice matters! Together we can be a part of a shift towards sustainable options for pain management. Click here to read more about the announcement, and to submit your comments.